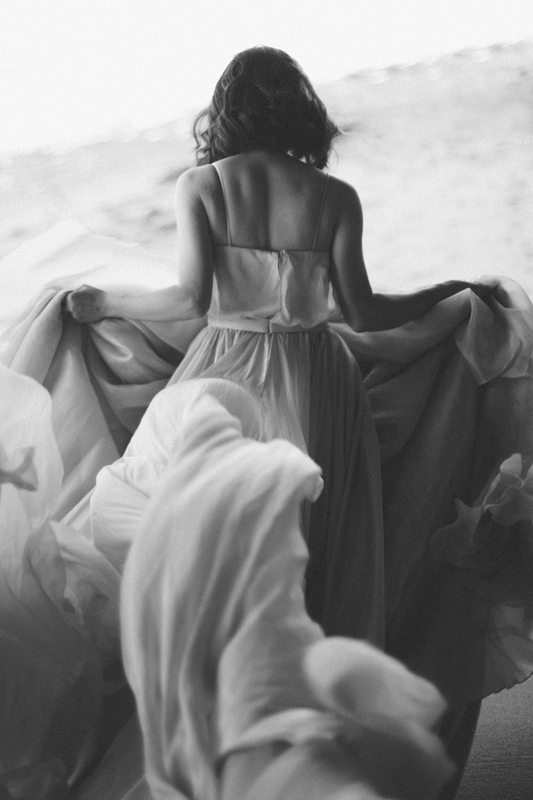 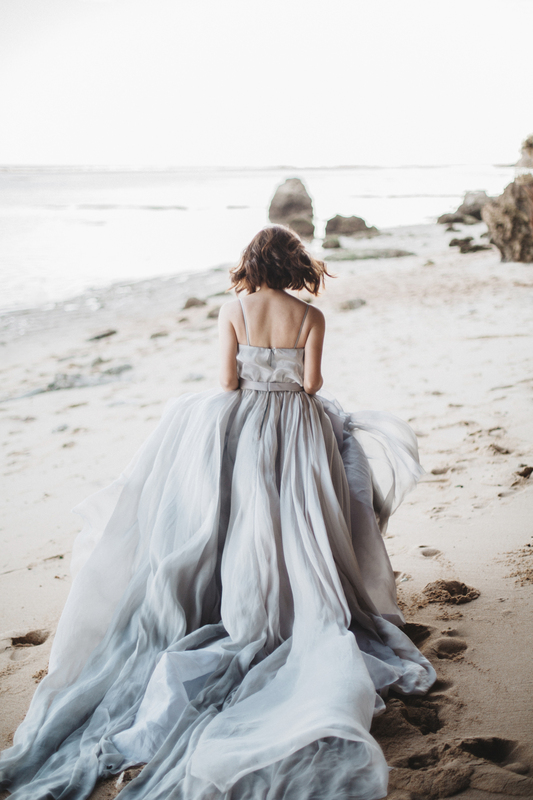 Also, click HERE to see the full editorial post on The Wedding Notebook blog. 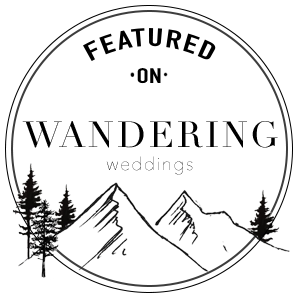 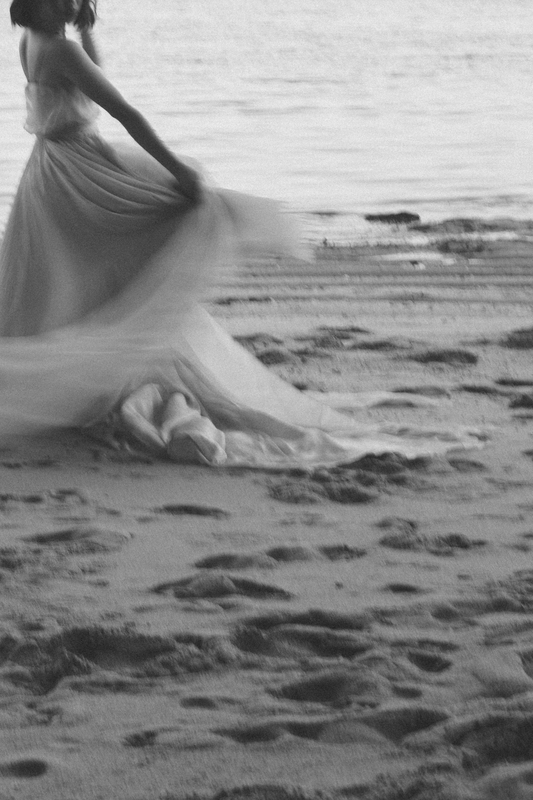 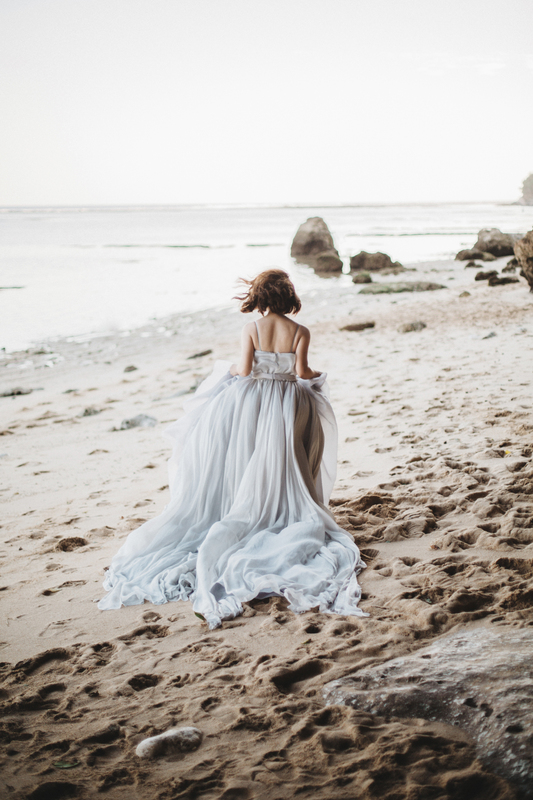 “Natural, wild and free – UNTAMED. 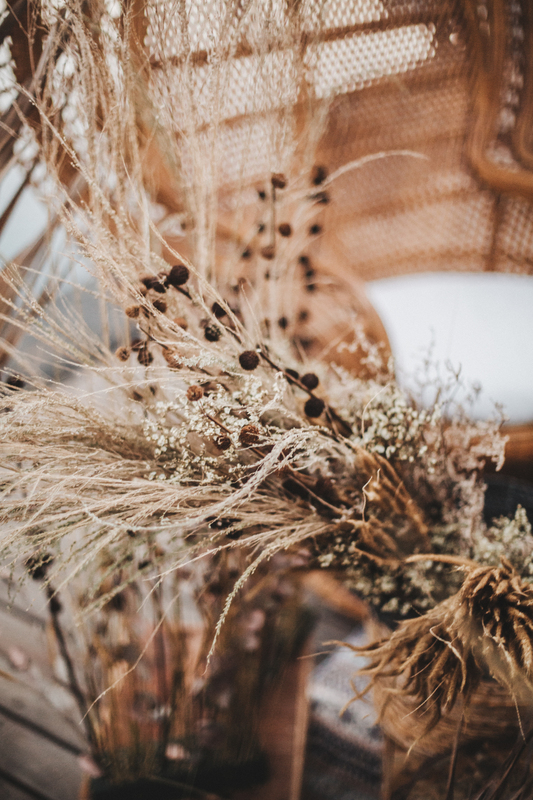 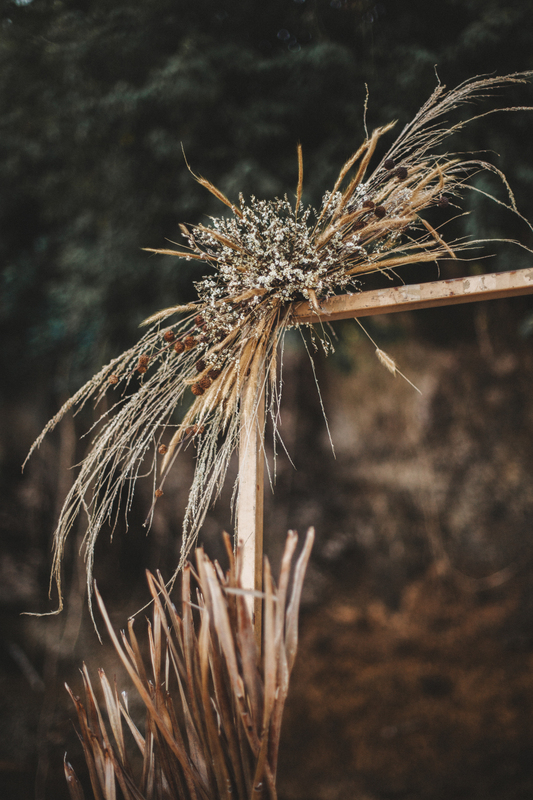 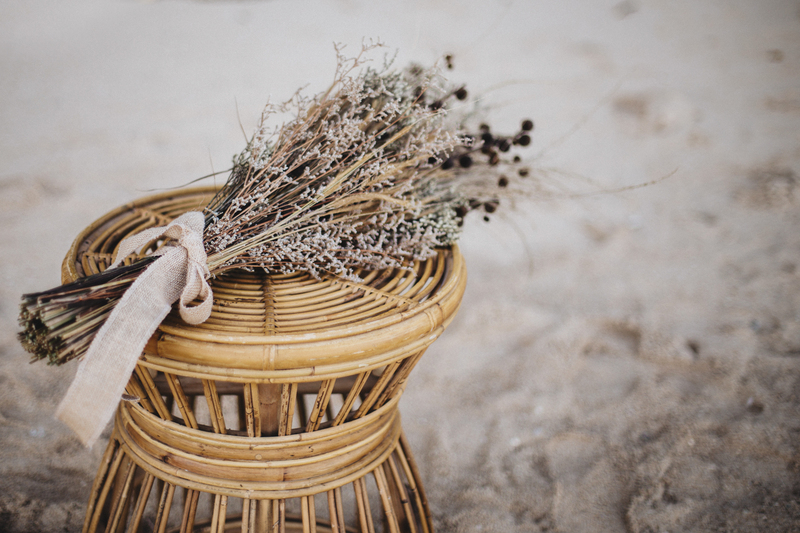 If you love the idea of using dried flowers for your wedding, you’ve got to read this post. 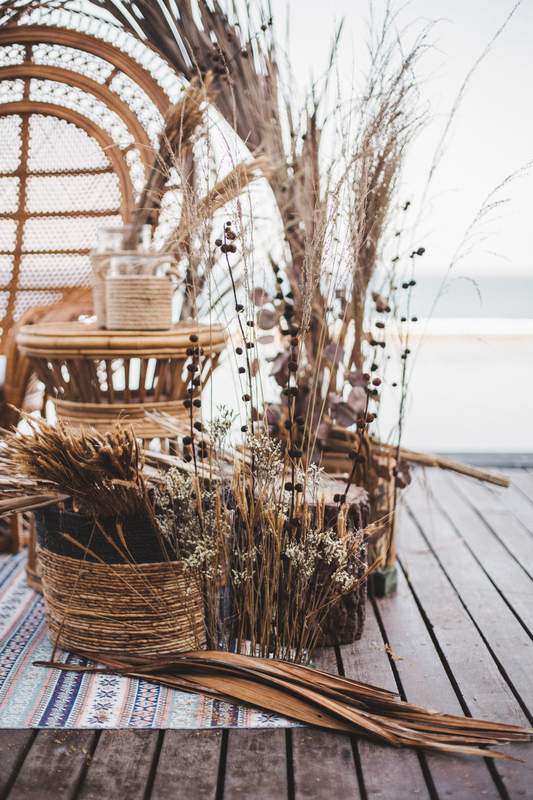 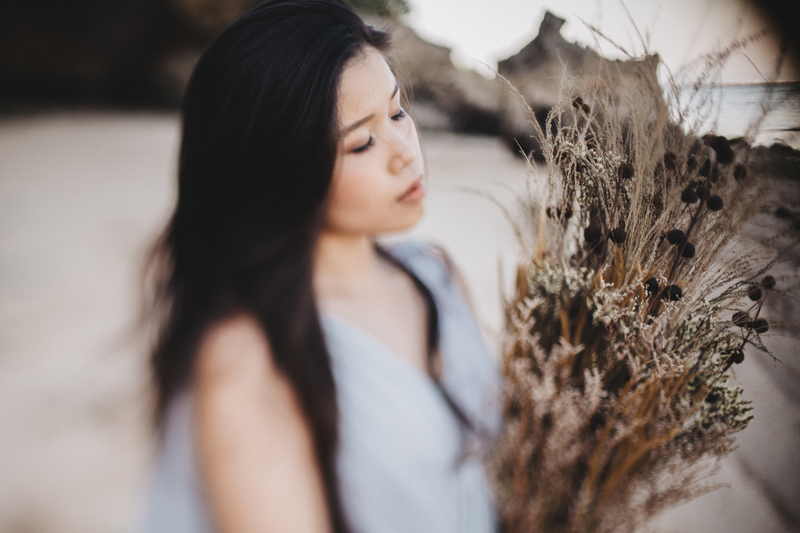 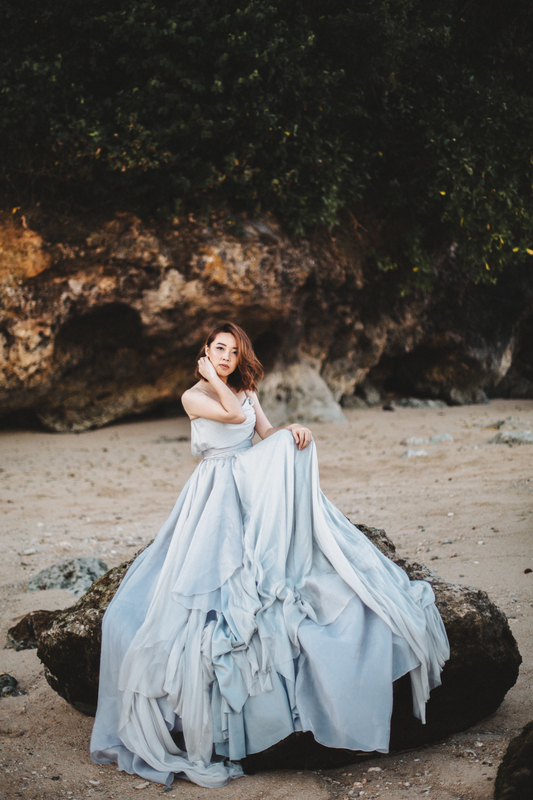 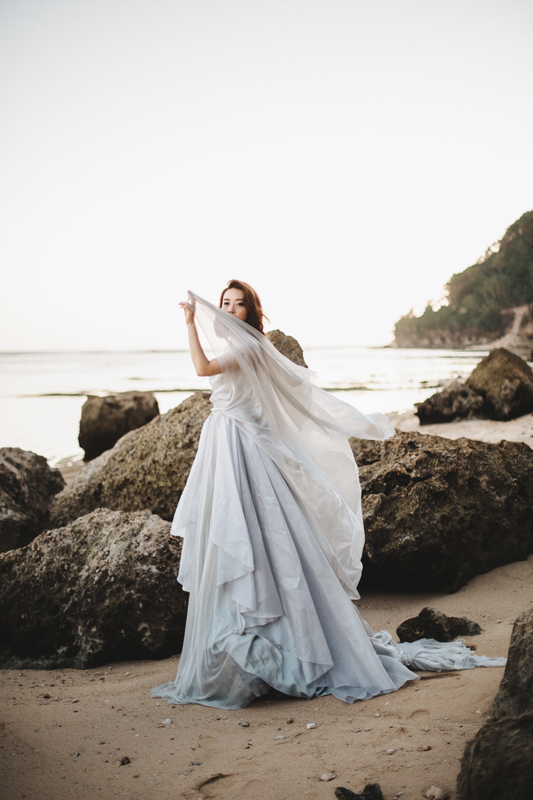 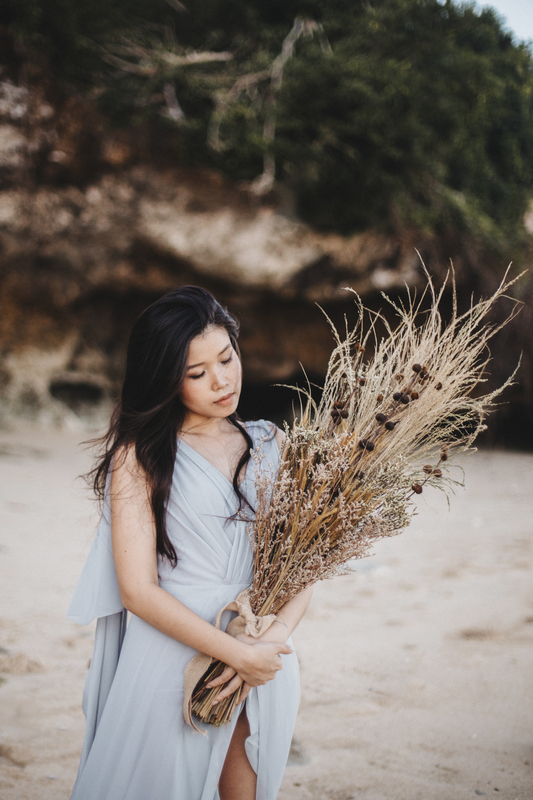 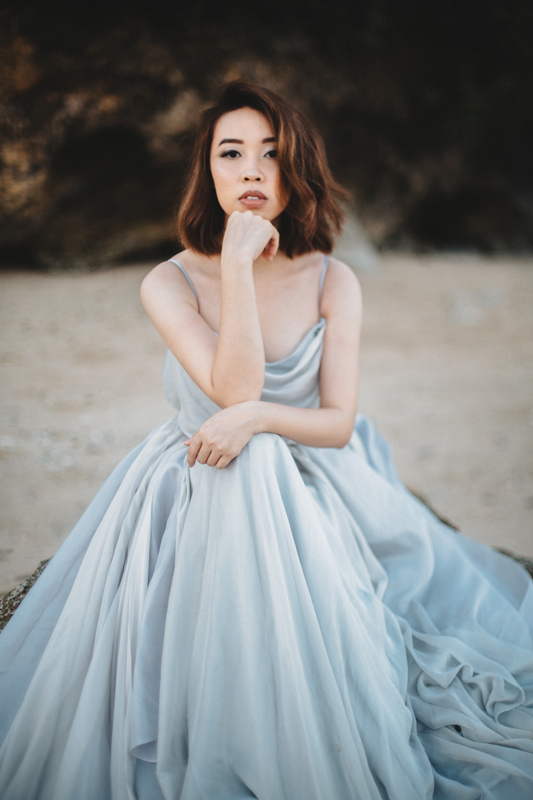 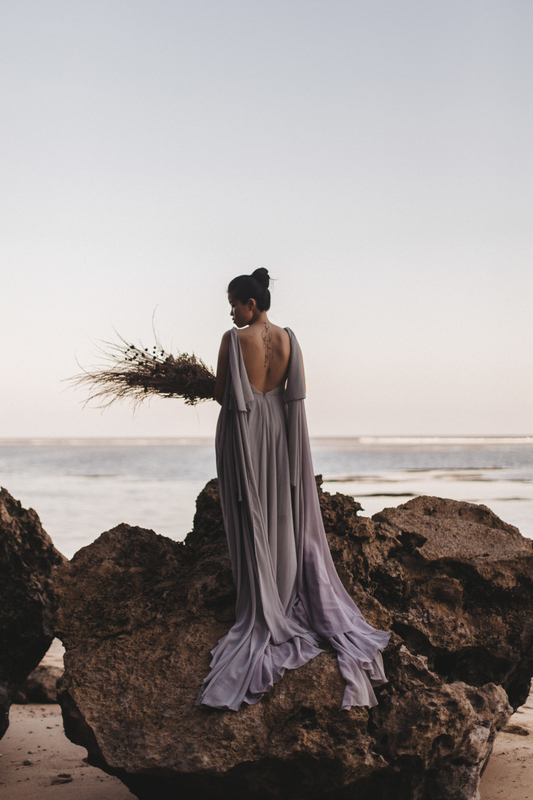 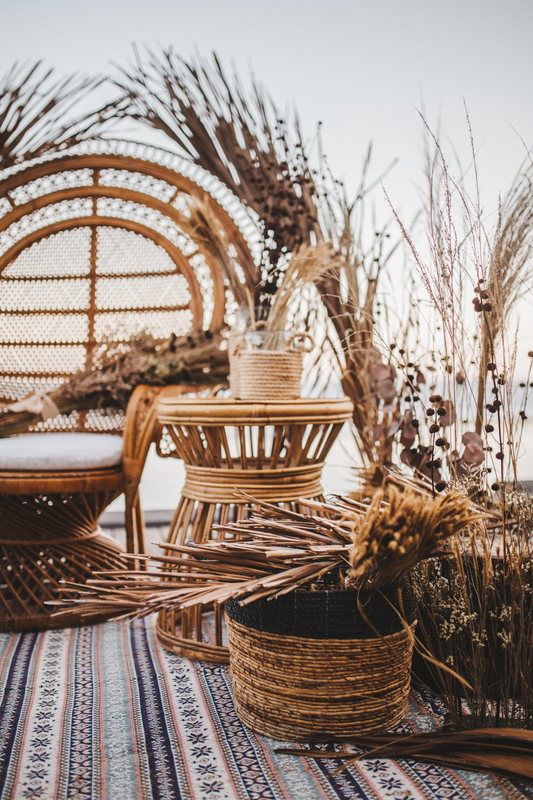 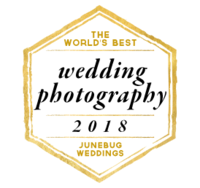 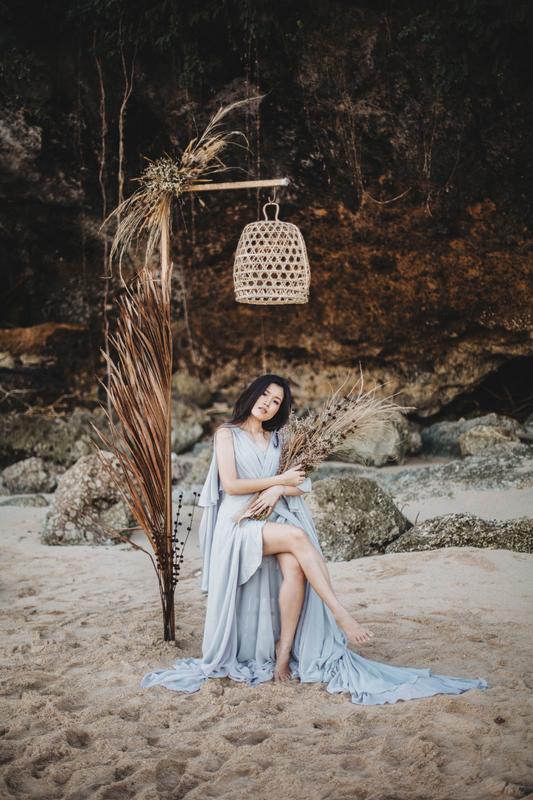 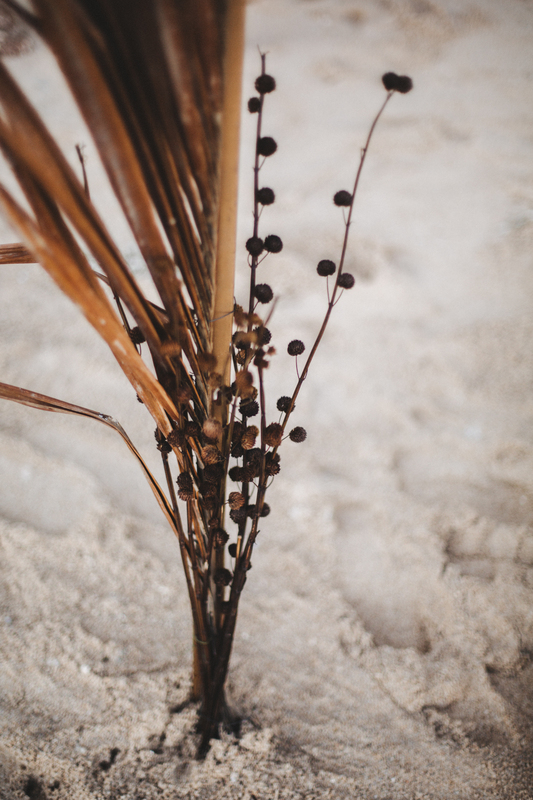 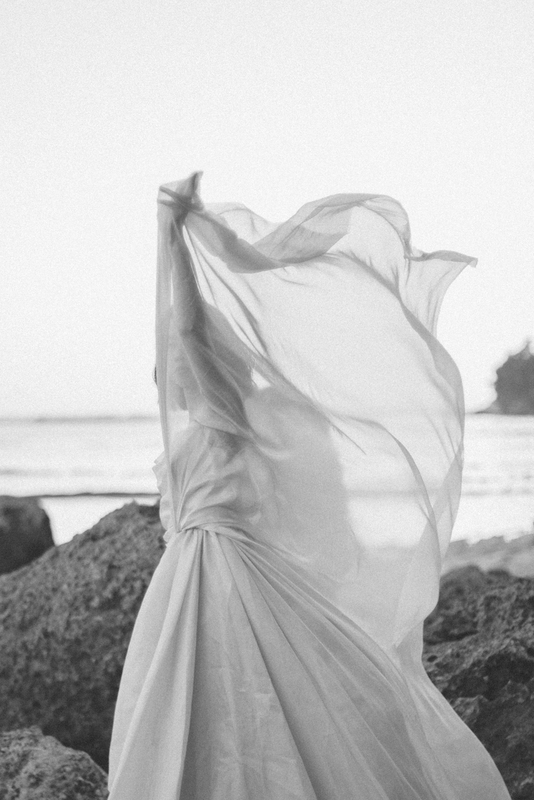 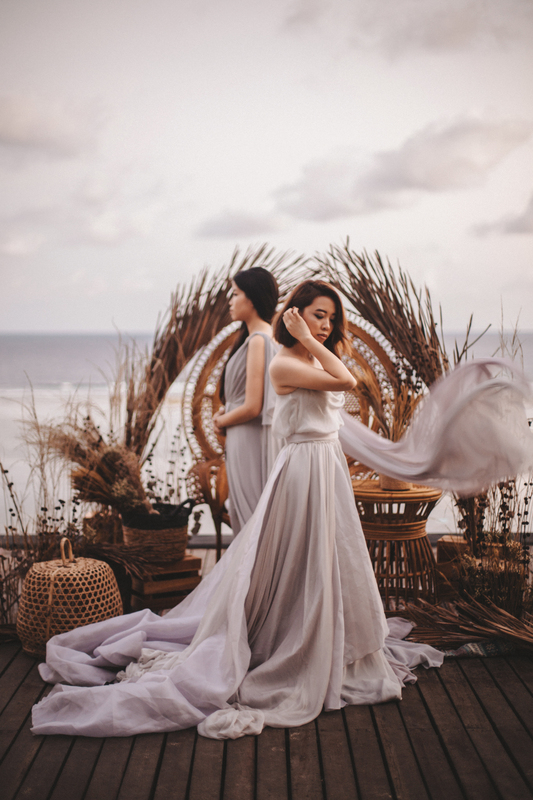 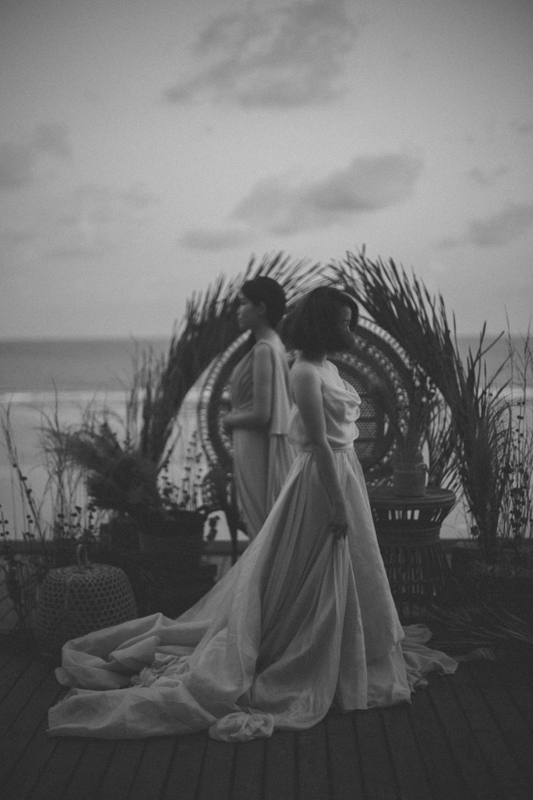 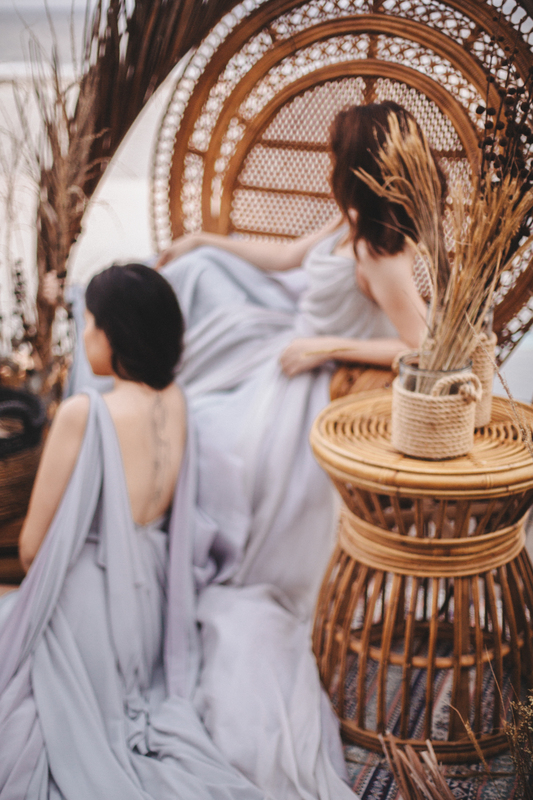 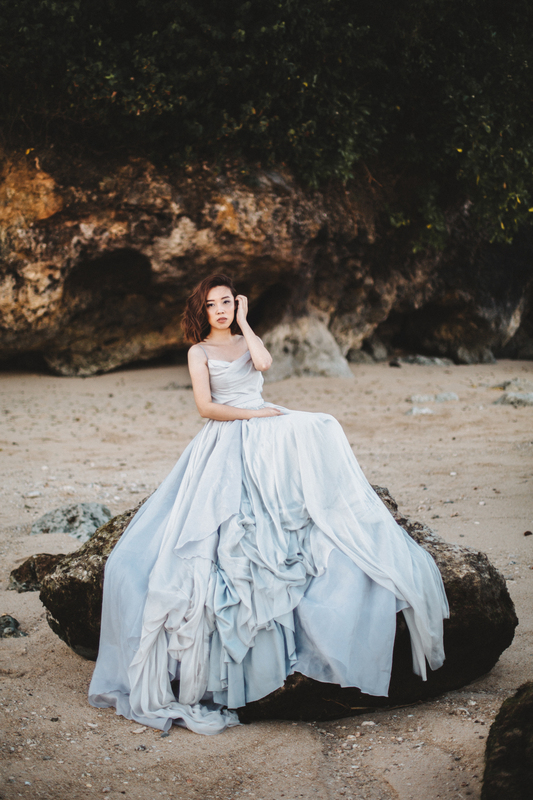 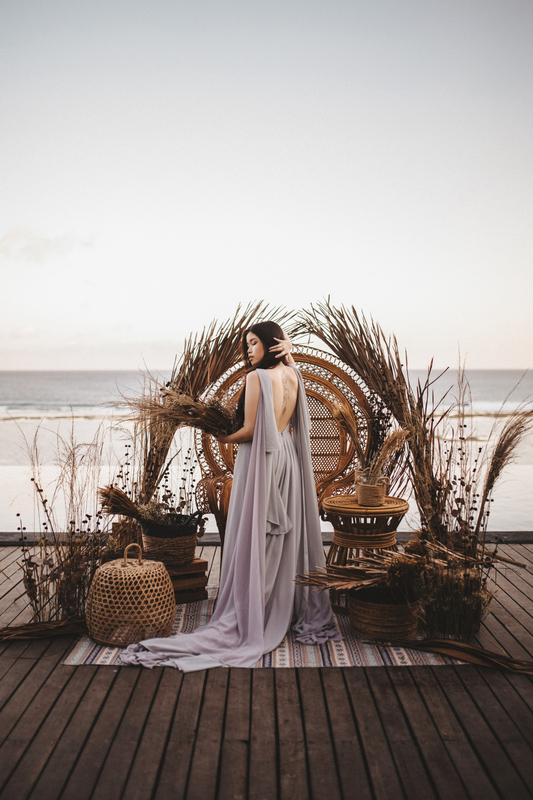 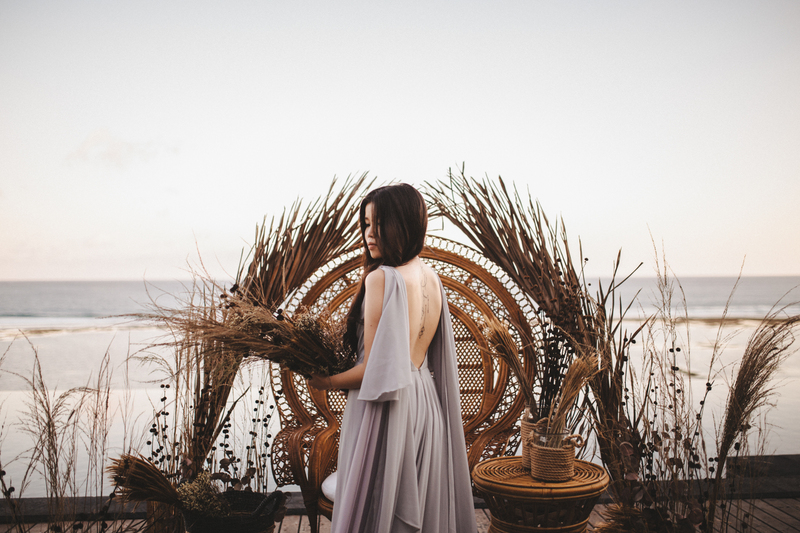 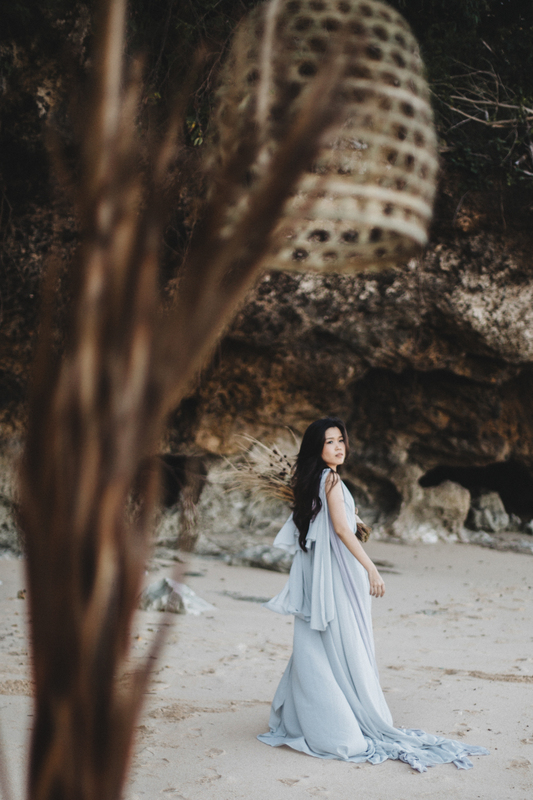 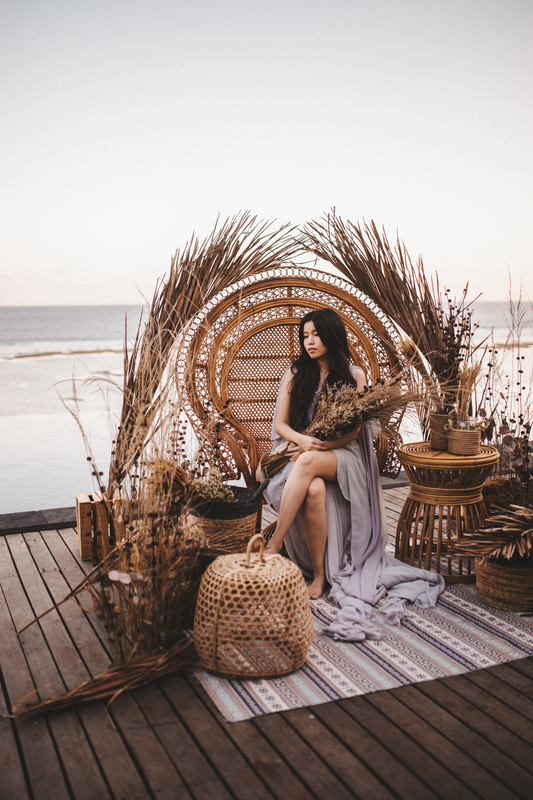 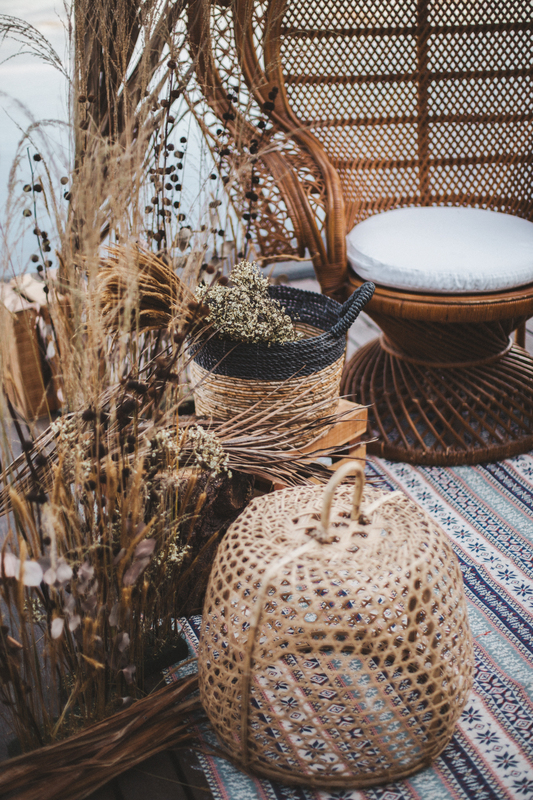 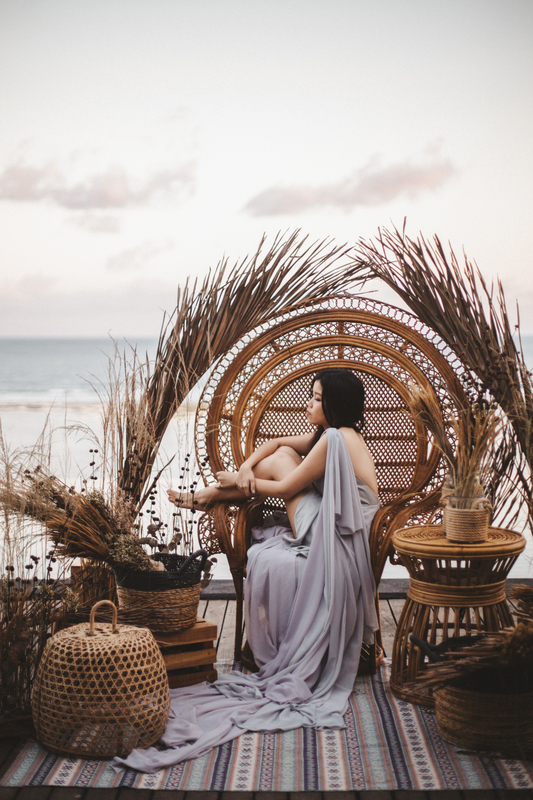 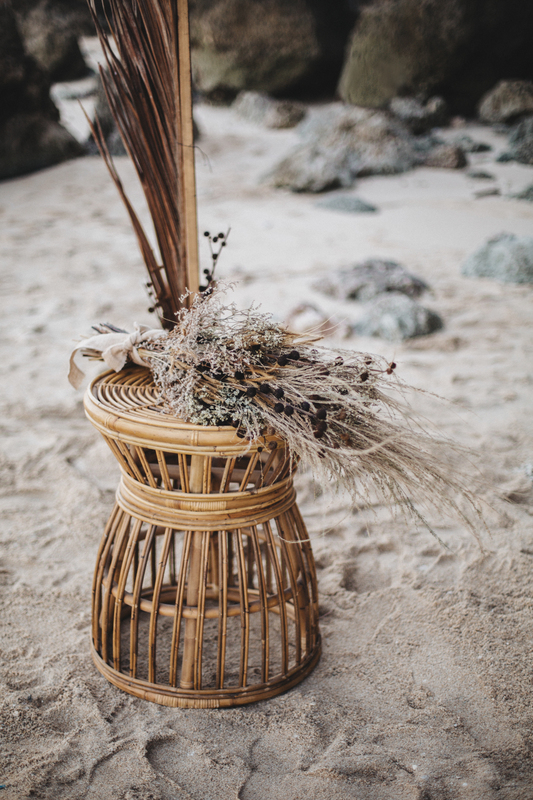 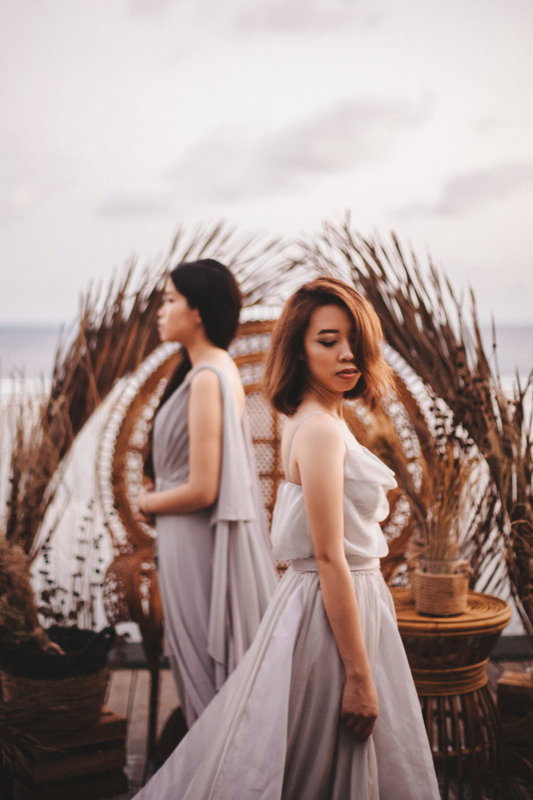 Pepper Suite Events, FIRE, WOOD & EARTH and Verena Mia are so excited to present our styled shoot called “UNTAMED” – in the spirit of being wild and free. 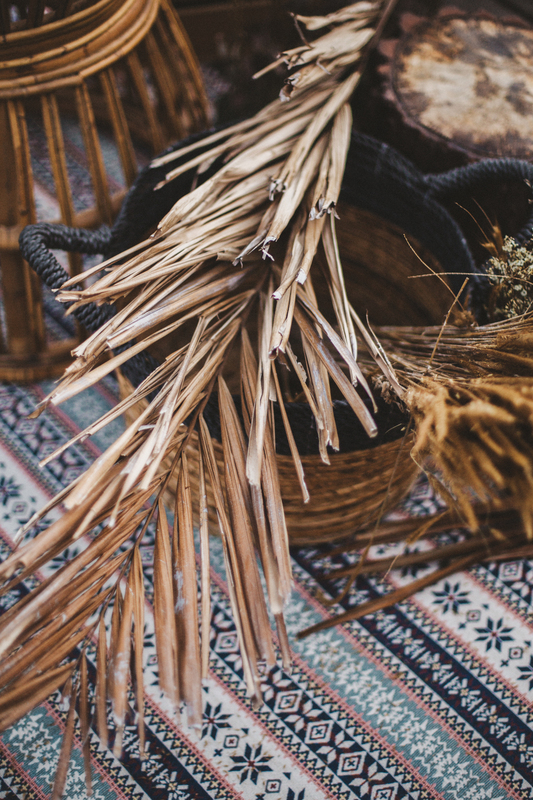 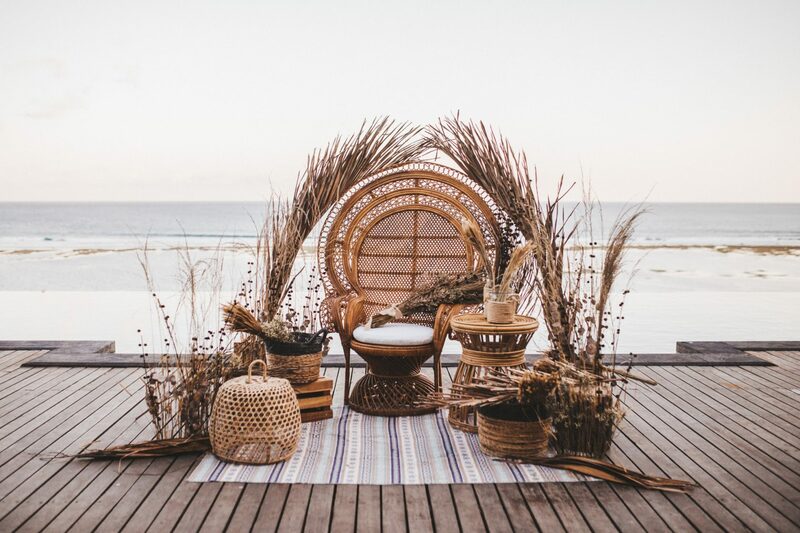 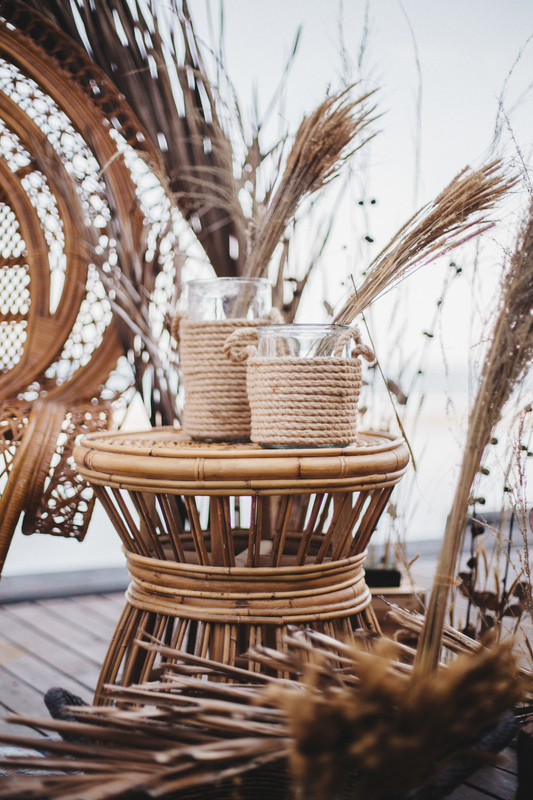 Natural and dried materials were used, rattan furnitures, dried leaves and wildflowers. 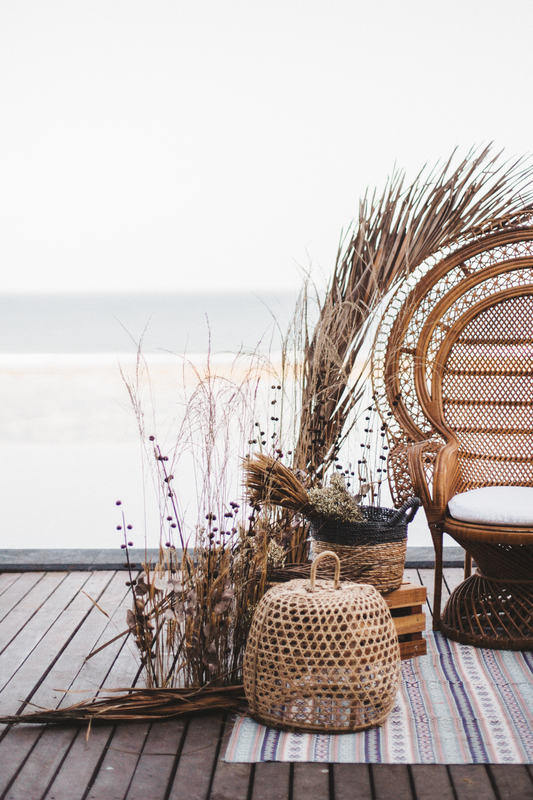 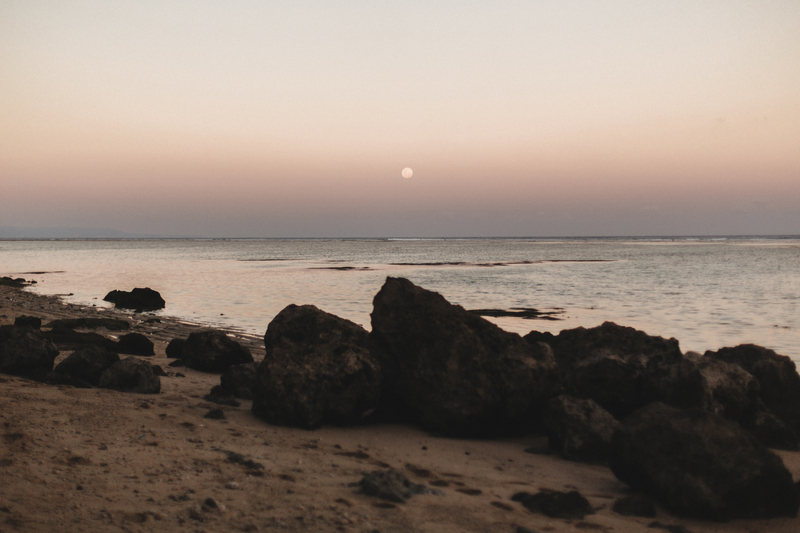 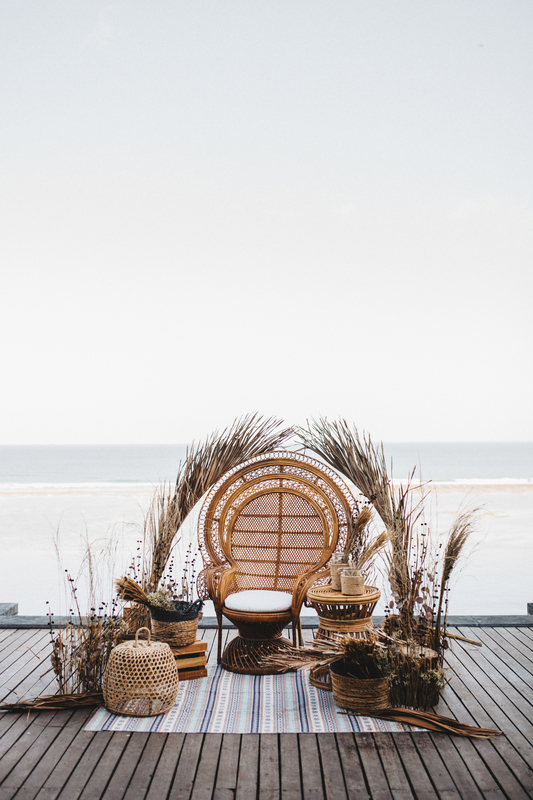 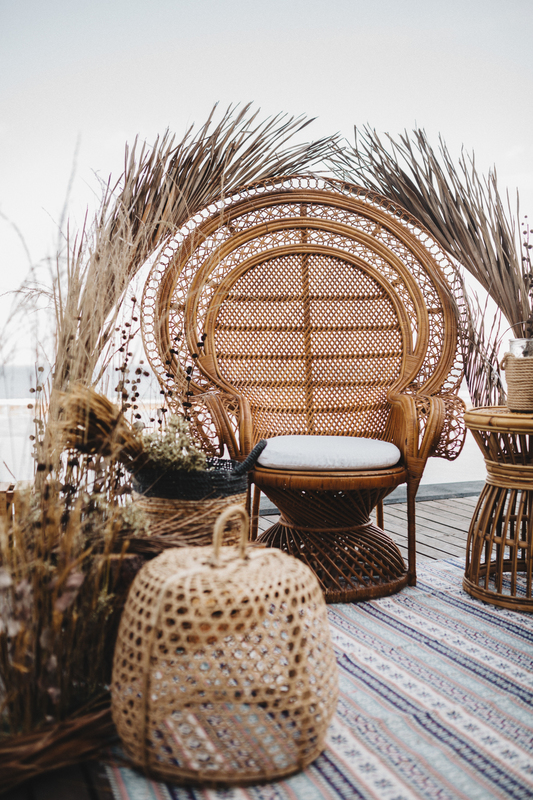 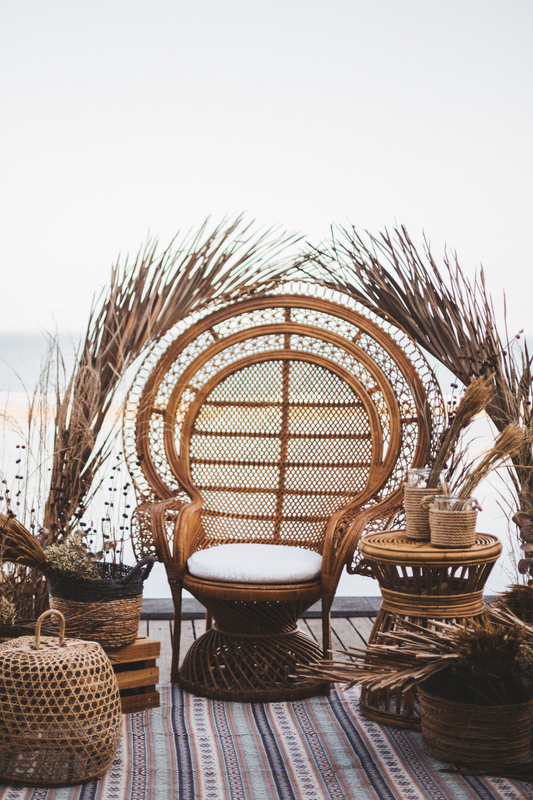 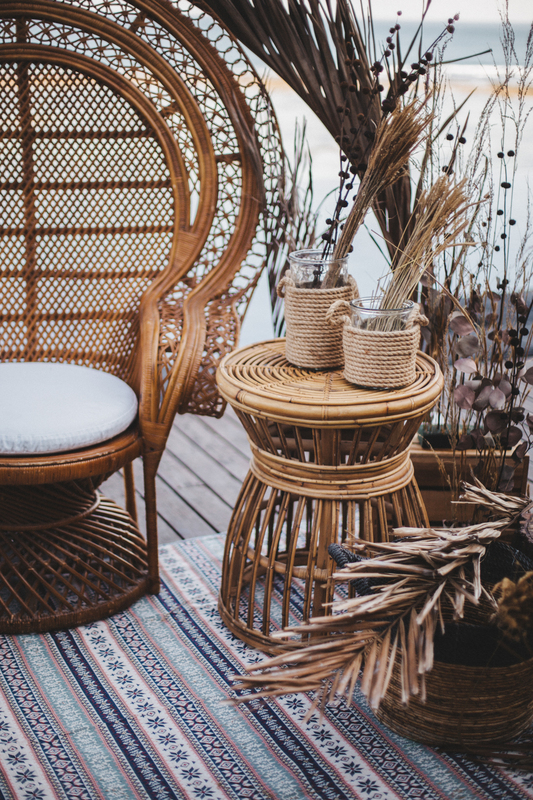 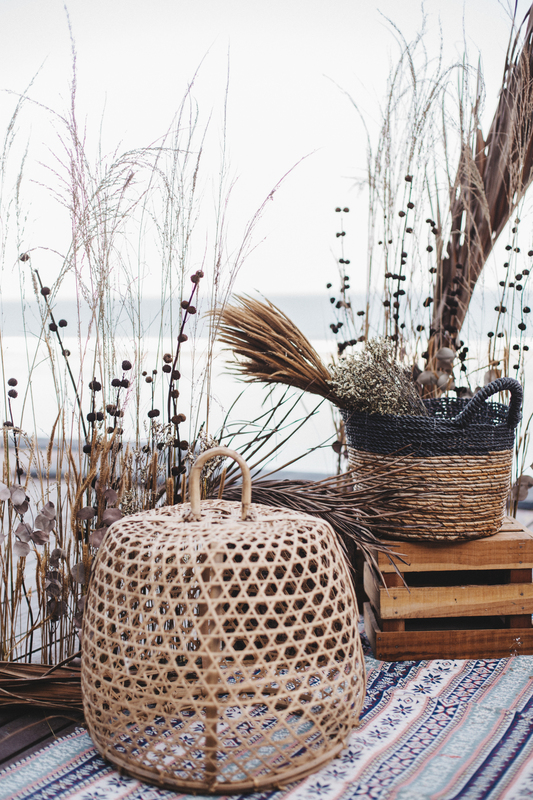 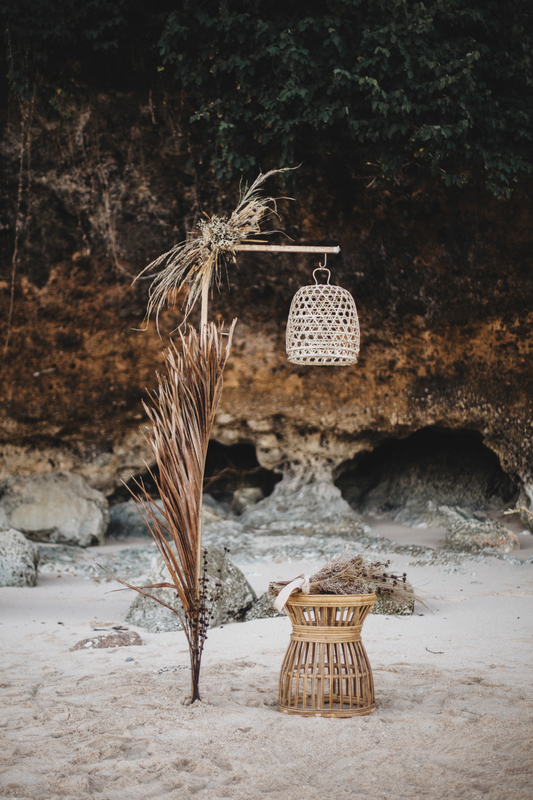 We had two decor setup – one is a more bohemian, and another is a simpler spot for the beach. 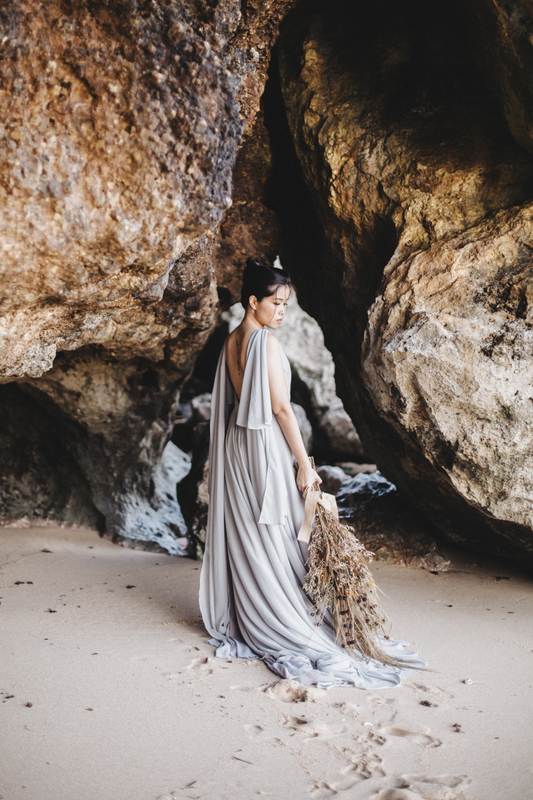 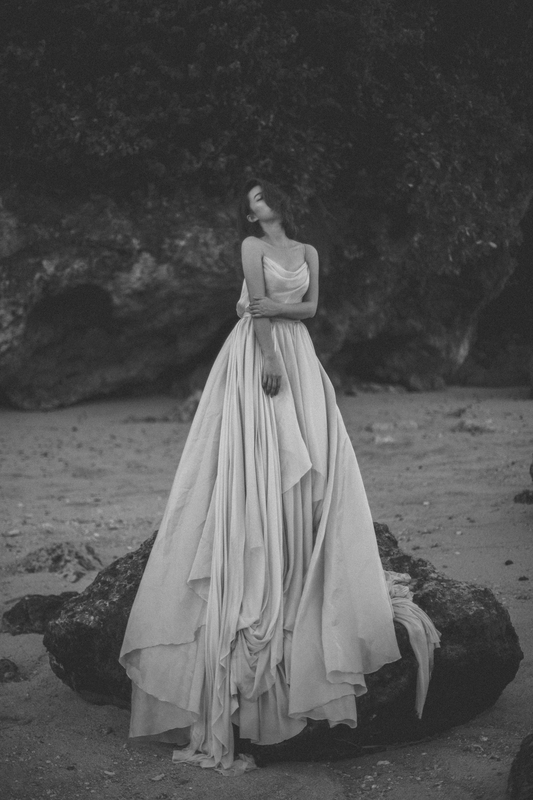 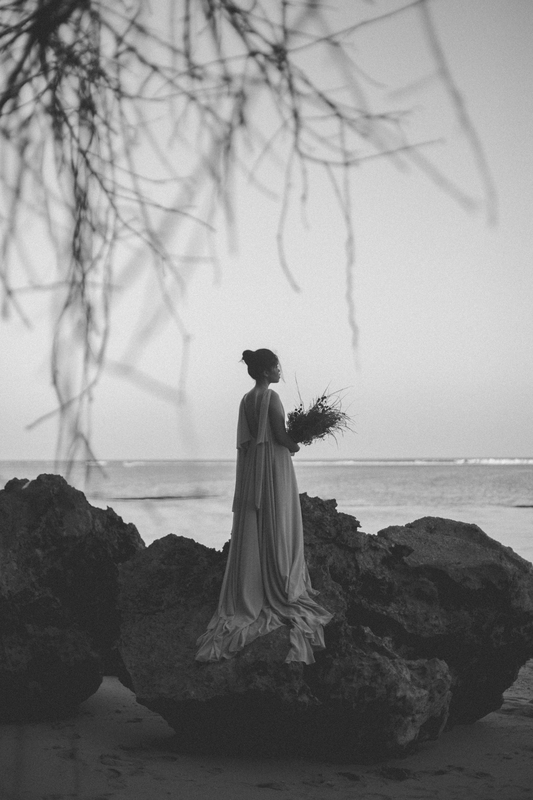 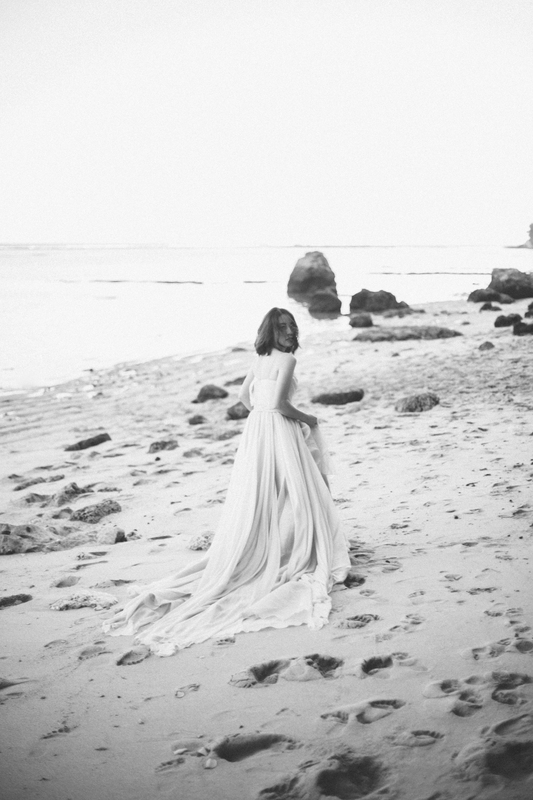 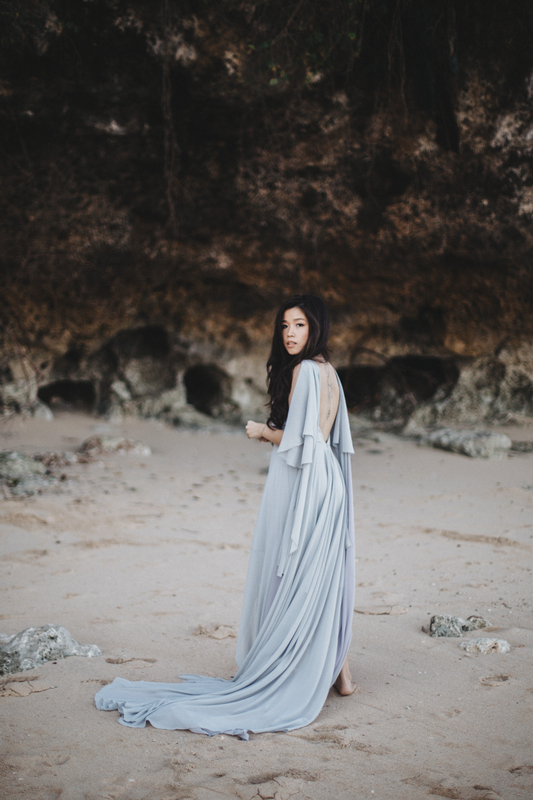 These natural elements are a contrast juxtapose to the Verena Mia flowy gowns. 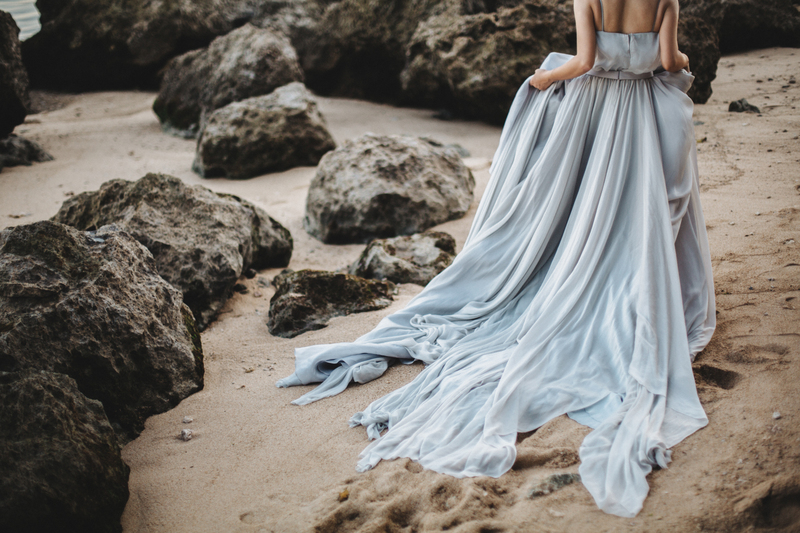 The gowns are of a soft light-grey-blue tone, made of layers of silk and chiffon materials that create a movement and dynamics in the set of rigid things.